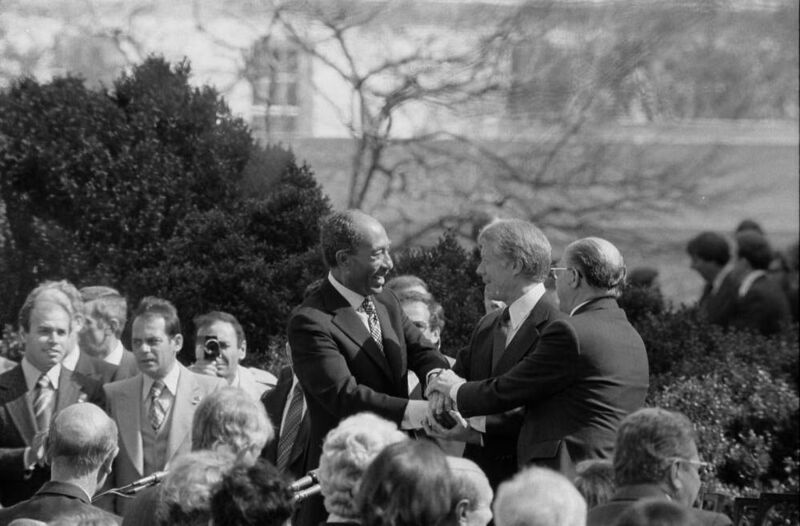 President Jimmy Carter, center, shakes hands with Egyptian President Anwar Sadat, left, and Israeli Prime Minister Menachem Begin (back to the camera) at the signing of the Egypt-Israel Peace Treaty on the grounds of the White House in 1979. Relations between Egypt and Israel have remained peaceful since the treaty, which led to Israeli withdrawal from the Sinai Peninsula. Map: Customize, download, and print this outline map of Israel and its neighbors. Background: Learn more about the division of Palestine and the Six-Day War, major conflicts that pre-dated the treaty. Activity: Read this summary of Egypt-Israeli relations and discuss how geography has played a role in their relations throughout history. The 1964 Good Friday earthquake, the worst in North American history, caused a catastrophic series of tsunamis in the North Pacific. 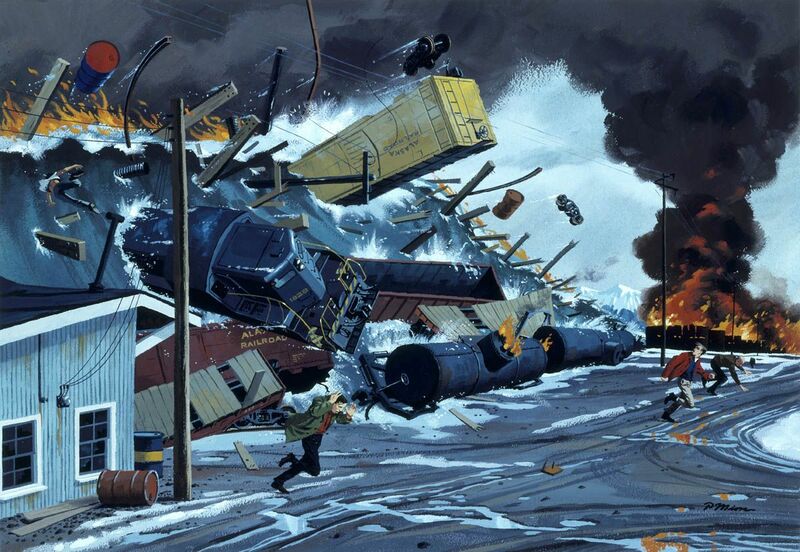 In this illustration, a tsunami’s wall of water—topped by flaming oil—destroys the docks of Seward, Alaska. The magnitude 9.2 quake was the most powerful earthquake ever recorded in North America. Maps: Check out this series of maps, illustrations, and feature articles about the Good Friday Earthquake from the good folks at the USGS. Background: Investigate primary sources with these images documenting the impact of the quake in the days that followed. Activity: Have your students use our Forces of Nature interactive to understand the tectonic forces that contribute to earthquakes—and create one of their own! Following the collapse of the Ottoman Empire, the new Republic of Turkey officially changed the city of Constantinople’s name to Istanbul. Map: Compare these maps of the Ottoman Empire with this map of modern-day Turkey. How did Turkish borders change? Where do you think the Turkish sphere of influence can still be felt? Background: Read through this article to understand the incredibly rich history of Byzantium Constantinople Istanbul. Activity: Use this article to discuss Turkey’s geographical position between Europe and Asia and its role in international trade. This political cartoon, attacking the Democratic Party and “Bleeding Kansas,” appeared during the presidential campaign of 1856. In the center stands Democratic President Franklin Pierce, dressed as a “Border Ruffian,” as the violent, pro-slavery invaders of the Kansas territory from Missouri were known. The allegorical figure of Liberty kneels at his feet. Further to the right are Democratic presidential candidates Lewis Cass and Stephen Douglas. On the left are Pierce’s Secretary of State William Marcy and presidential candidate (and eventual winner) James Buchanan. The violence that arose over whether or not to allow slavery in Kansas was one of the primary factors contributing to the outbreak of the Civil War. Map: Consider this map of the Kansas-Nebraska Act, which divided the west into areas open and closed to slavery. 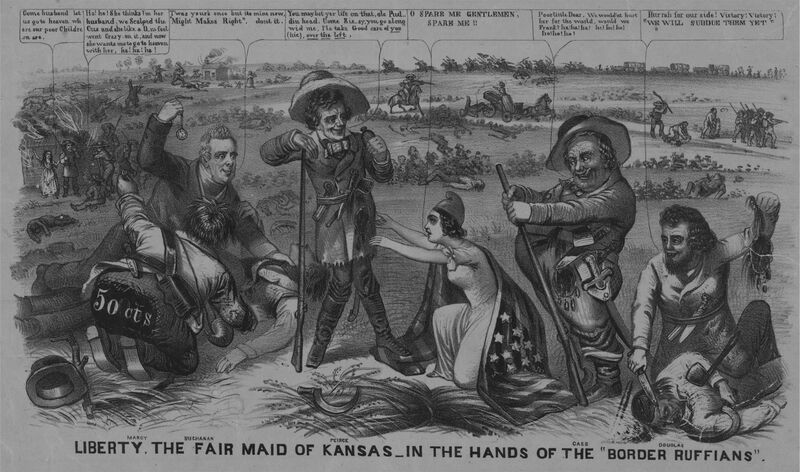 Background: Use primary sources to learn more about the Kansas-Nebraska Act and The Missouri Compromise. 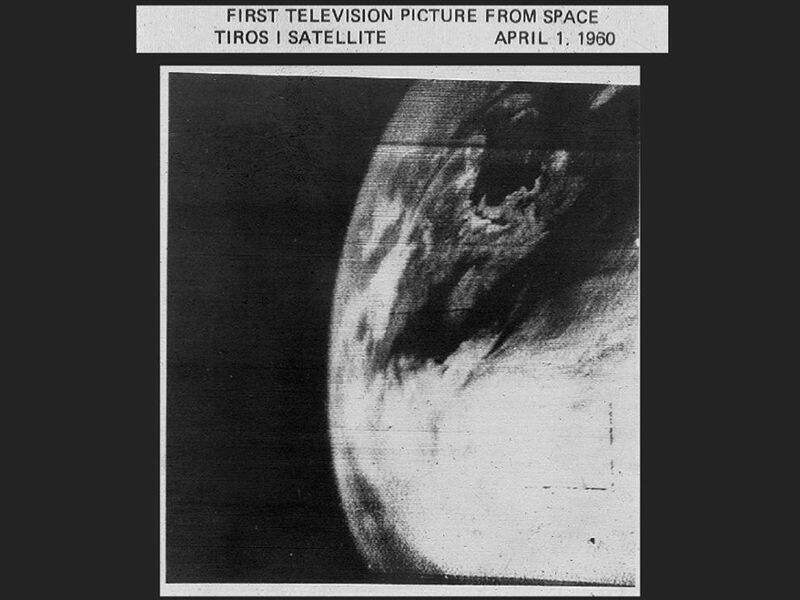 TIROS-1 (short for Television and Infrared Observation Satellite) was the first weather satellite, and provided the first satellite imagery of Earth. Satellite images from TIROS I allowed weather forecasters and scientists to see how storms were forming and moving across the globe. Images: Take a look at the first satellite image from TIROS I above. Compare it with the latest images from the GOES East and GOES West, the sophisticated satellites used by NOAA today. How has satellite imagery changed? Background: Learn how to build a weather satellite with this fun lesson plan from NASA. Activity: Use our interactive Extreme Weather to work with engineers and meteorologists, and help predict extreme weather using satellites and other tools.